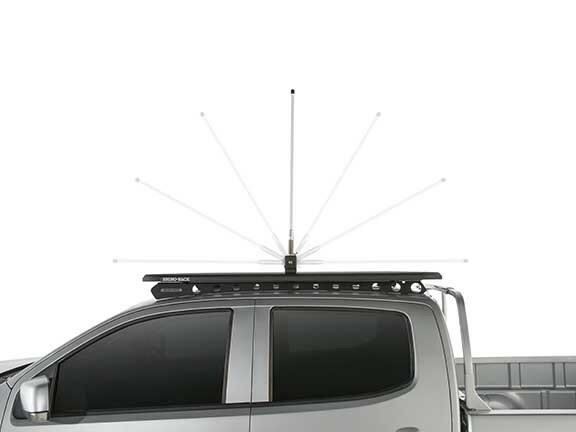 Rhino-Rack has introduced the Folding Aerial Bracket for 4x4s and utes which allows users to raise and lower aerials, flags and spotlights quickly and easily. The Folding Aerial Bracket is designed for use in areas with limited height clearance or when garaging your vehicle. It allows aerials, flags, antennas, LEDs and spotlights to be raised and lowered in a short time without the need to fully uninstall and reinstall the items. The bracket also allows items to be positioned in one of seven angles over 180 degrees. Adjusting the angles is achieved by pulling a spring-loaded T-lever from the locking position and moving the bracket to the desired angle. The bracket has been engineered with a steel frame body that contains a hollow internal space for running cables or hardware through. The aerial mount hole allows for aerials up to 17mm in diameter to be used. 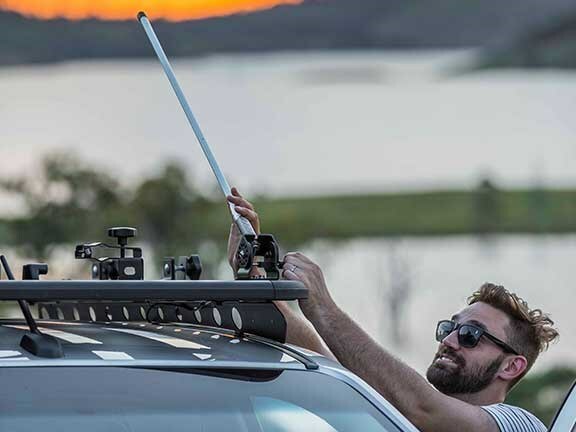 The Folding Aerial Bracket is compatible with other Rhino-Rack products such as Vortex Bars, Heavy Duty Bars and the Pioneer system. The bracket can also be directly mounted on to most brands of bull bar either horizontally or vertically by hand. The bull bar mount hole has a 13mm diameter. In addition, the bracket can be secured even further by adding a bolt. The folding mechanism can also be positioned either parallel or perpendicular to the vehicle.